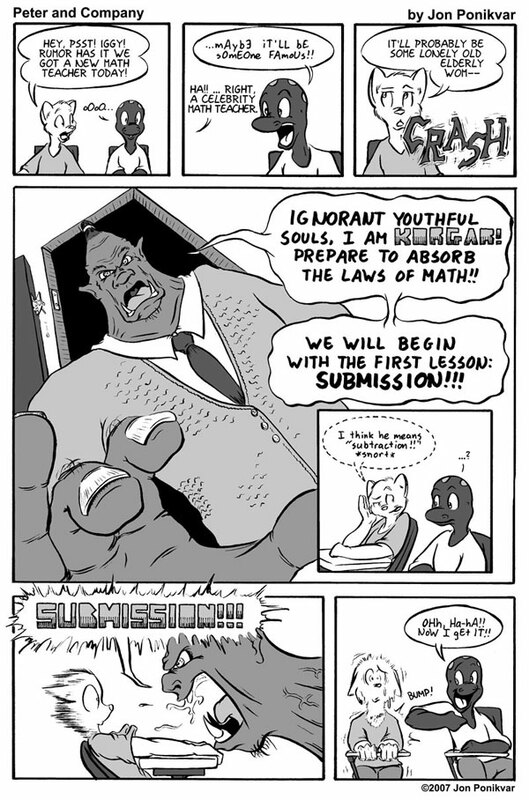 Peter & Company: Comic #76: Enter KORGAR, Math Teacher!! 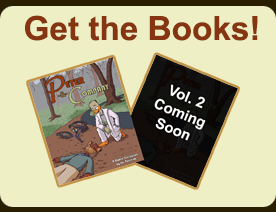 The story of Korgar's creation is covered pretty thoroughly in the first Peter & Company Collection Book. To summarize, he was the result of a simple typo on a grocery store flyer at SCAD, which my friends and I found hilarious ("Kroger" was misspelled as "Korgar"). His initial character design was that of a giant orc who owned a grocery store and accepted children as currency. During our time at undergrad, we each came up with our own rendition of him. Here is mine, with Korgar taking the role of Peter's new math teacher. You'll see for yourself, with where the comic goes from here.